Last Friday, the city of Ramadi – provincial capital of Iraq’s Anbar Province, and symbolic seat of its Sunni population – fell to an ISIS assault. Beyond that is the capital itself. On the Baghdad side of the provincial frontier, Iranian-backed, Shiite militias are poised to move across the line to retake Anbar. Hard choices about halting ISIS now and building a secure, inclusive Iraq confront both the Iraqi government and the US and its allies in the region. My work for an international nonprofit organization first brought me to Anbar in the summer of 2007, not long after the American-led coalition had written the province off as “lost to the insurgency.” The push to retake it by combining the efforts of US forces and tribal militias (the “Sunni Awakening Movement” or Sahwa) had begun earlier that year, and by the summer had gained traction. From that summer through the spring of 2008, I led a locally hired staff in efforts to reduce the involvement of youth in the insurgency in the area of a city called Hit, a few miles west into Anbar from Ramadi; in 2010, I returned to Anbar with a different organization, this time to Ramadi itself, as head of a project integrating internally displaced people who had fled to the Ramadi district from elsewhere in Iraq. My leadership role required understanding the politics and society of the area well enough to effect change without also creating unintended consequences. My observations here are based in large part on my own knowledge of the region. ISIS’ successes in Anbar province do not come out of nowhere; they come from long history of negative interactions between the Sunni and Shia of Iraq and from American and Iranian interventions. ISIS’ beachhead within Sunni-dominated Anbar – that segment of the population that either didn’t resist the extremist group or that actively facilitated its advance – has its foundations in the way the US pursued the war in Iraq from the 2003 invasion onward. The US strategy prioritized short-term stability over long-term inclusive governance, and ignored the Shiite-dominated government’s pursuit of that stability through the exclusion and repression of the Sunni minority. That was followed by the sense of betrayal among Anbar’s tribal militias and the Sahwa fighters, who had fought alongside US troops to retake Anbar from the insurgency in 2007 and 2008. Those fighters were subjected to greater-than-average exclusion by the government in Baghdad, ejected from or denied jobs that had been promised during the American tenure, and targeted by Iranian-backed Shia militia violence. Many saw the American withdrawal of forces as abandonment, and some have since joined the ranks of ISIS’ fighters. That was worsened by the Nouri al-Maliki government’s overtly repressive and exclusionary policies toward the Sunni population, which were in turn worsened by the new Haider al-Abadi government’s failure to change those policies, and use of Shia paramilitaries – long a battlefield enemy to the Sunni – to bolster the overwhelmed Iraqi army in fighting ISIS. Anbar’s Sunni population is very much aware of the threat from ISIS; the fighters under the black flag have not met with an unalloyed welcome, but rather by Sunni tribal militias fighting them street by street. Who is seen as the greater threat? ISIS or the Shiite government? But while some of the Sunni population sees threat from ISIS, all of the population sees threat from the Shiite government and militias. ISIS’ combination of superior force and political beachhead has been amplified by the fact that the group has good administrators as well as good fighters – a contrast to central government failures with regard to basic services, which has served it well throughout the Sunni parts of Iraq and Syria alike. American and other international actors, seeing one strategy in ruins, argue over what to replace it with, and whether the fall of Ramadi represents a strategic failure or merely a setback. But this misses a critical point. The real question isn’t about the strategy of the American administration. The real question is about the strategy of the Iraqi administration – not to defeat ISIS, but to build an Iraqi society and politics that’s inclusive of Sunni and Kurd as well as Shiite. Throughout its years in power, the Maliki government could hardly have done more to convince Iraqi Sunnis that they faced a real threat. The new government, distracted by ISIS since almost its first day in office, has done far too little to ameliorate that perception. Instead, it has already used paramilitary Shia militias to bolster its flagging regular military – the same militias that fought with Sunni counterparts during recent years of warfare. The use of those militias, exacerbated by reports that they turned their violence on Sunni populations immediately after engaging ISIS’ fighters in Tikrit and elsewhere, has only added to the problem. The result: All the easy options are long since gone, and any strategy to defeat ISIS will fail if it doesn’t address the underlying drivers of insecurity and/or continues using the same tools that previously fueled violence. That may sound glib, but it’s also going to be impossible to rouse the will to tackle the hard options until this tough reality is recognized and accepted. Some situations simply do not lend themselves to easy, straightforward solutions. In the meantime, those Shiite militias massing west of Baghdad on the Anbar frontier are certainly capable of winning the initial fight against ISIS. With more easily defensible supply lines, they can mobilize greater numbers and greater firepower than the ISIS fighters now holding Ramadi. The US, seeking to defeat ISIS as soon as possible, will likely add air power and perhaps even special operations troops to the fight. The Iraqi flag will fly over Ramadi again, however briefly. But unless an Iraqi-conceived and Iraqi-led plan for a peaceful governance – which includes Sunnis – follows, the victory will be Pyrrhic. Those militias will be seen – for good reason – as a worse threat than ISIS in the long term and at least as bad in the short term by the population of Ramadi. The militias are symbolic of more than a decade’s worth of sectarian violence, and while there may be a temporary alliance against a larger enemy, that alliance will be entirely ephemeral. 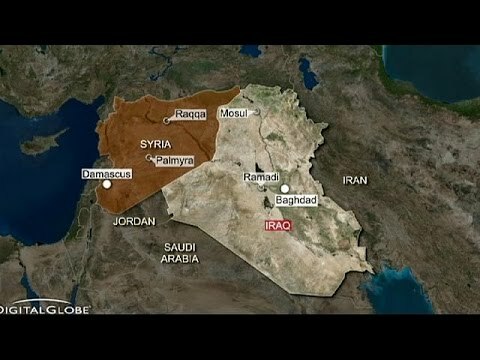 ISIS cannot, of course, be allowed to continue its expansion or to continue holding the territory it has already taken. But two things are required if Baghdad wants to halt ISIS and also ensure that a civil war between Sunni tribal militias and Shia paramilitaries does not begin the second the fighting with ISIS is done. For the short term, the Iraqi government should ensure that any troops massing on the Anbar provincial frontier are Sunni, with Sunni leadership and the full and explicit blessing of the national government as such. For the long term, Baghdad will need to provide guarantees of inclusive, nonrepressive government and power-sharing for the Sunni population. Iraq’s government will need to lay out its own explicitly Iraqi strategy for socio-political inclusion and power sharing -— something it has yet to do. That strategy cannot be seen as either American or Iranian, if it hopes to induce willing Sunni participation in a shared government. No American strategy, no matter how tactically decisive, will make a positive difference in the presence of an Iraqi government that continues to do its utmost to marginalize and repress the Sunni population. The US has been reminded that imposed regime change is a losing battle – change needs to be argued out by the Iraqis themselves. A successful strategy regarding ISIS would aim to produce a peaceful, unified Iraq in which ISIS cannot find common cause. There will, of course, be a need for some tactical action to dislodge the group and protect civilians in the short term. But the attempt to “defeat ISIS militarily” without also ensuring that change is the same strategy that scattered broken pieces of al-Qaida into the fertile ground of Iraqi exclusion … only to see it grow into this new menace. As will happen again, if we continue to make the mistake of bringing defeat and forgetting to build peace. David Alpher is Adjunct Professor at George Mason University’s School for Conflict Analysis and Resolution at George Mason University.